vintage cards, or something close to it. remember when i found an old wall paper book at the thrift store for $3.13. if not or if you did you can read about it HERE. as a new small business owner there are a number of things that can be done to show your customers tyou really appreciate them. 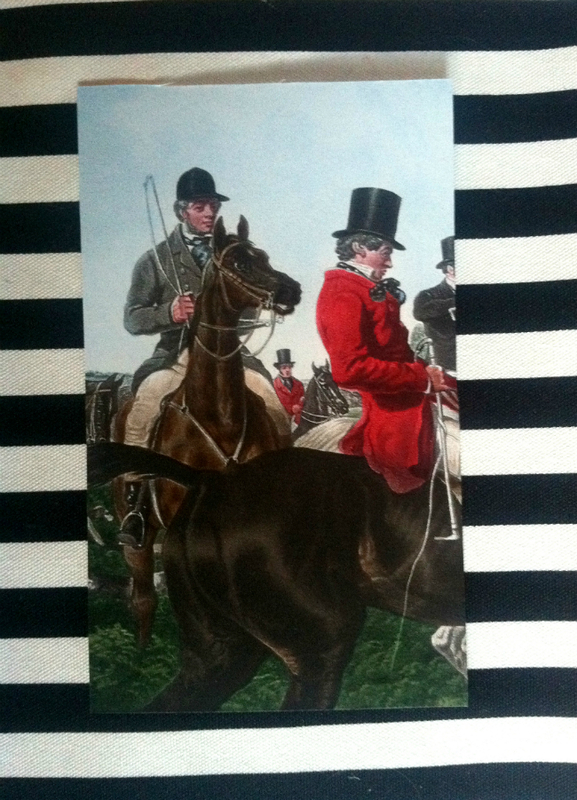 i ordered a very expensive pair of pants from trina turk a few years and they included a really nice card in it. that kinda made me feel special. so i have been including thank you cards in all of my shipments. now that i create my own lapel pins (which you can see HERE), i thought it would be great to include small cards with a note about each lapel pin. when i first purchased my wall paper book, i was initially interested in the tartan samples. go figure. 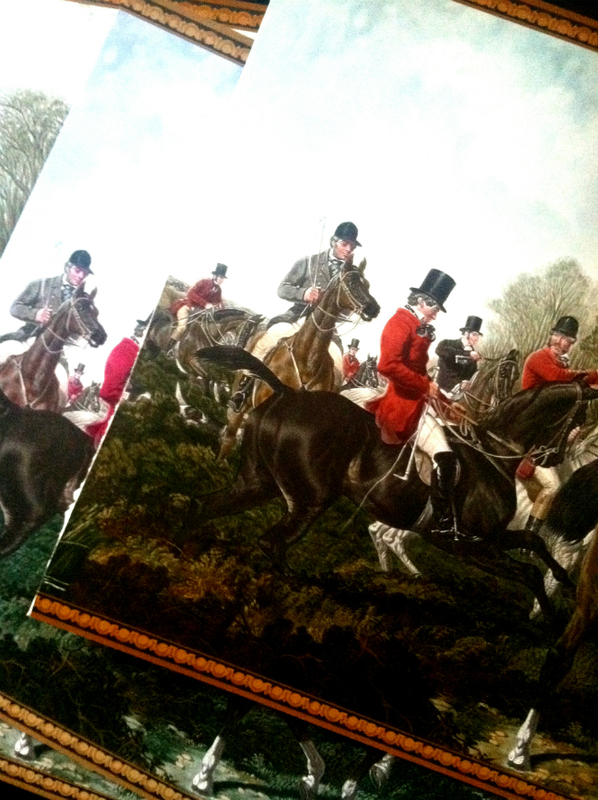 but yesterday i came across these hunting scenes and thought they would make inexpensive note cards. 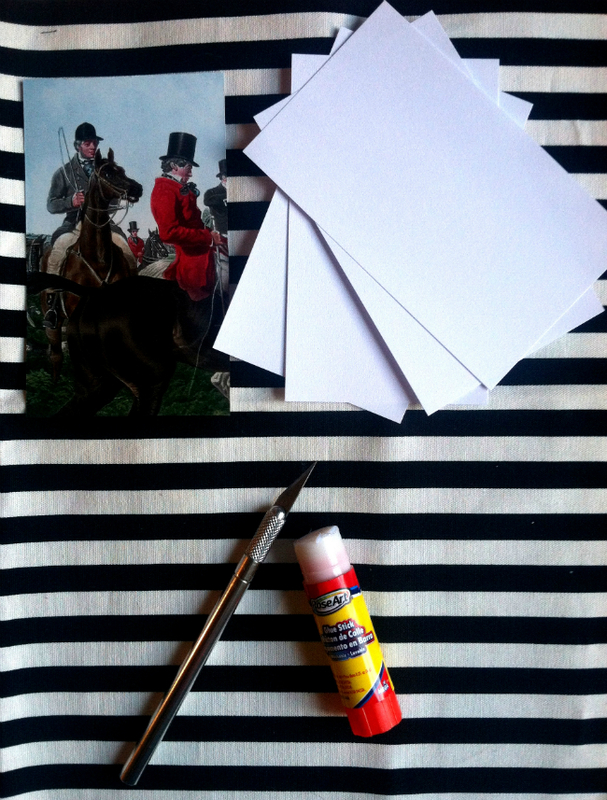 and adhered it to the blank index card and cut it out using an exacto knife. 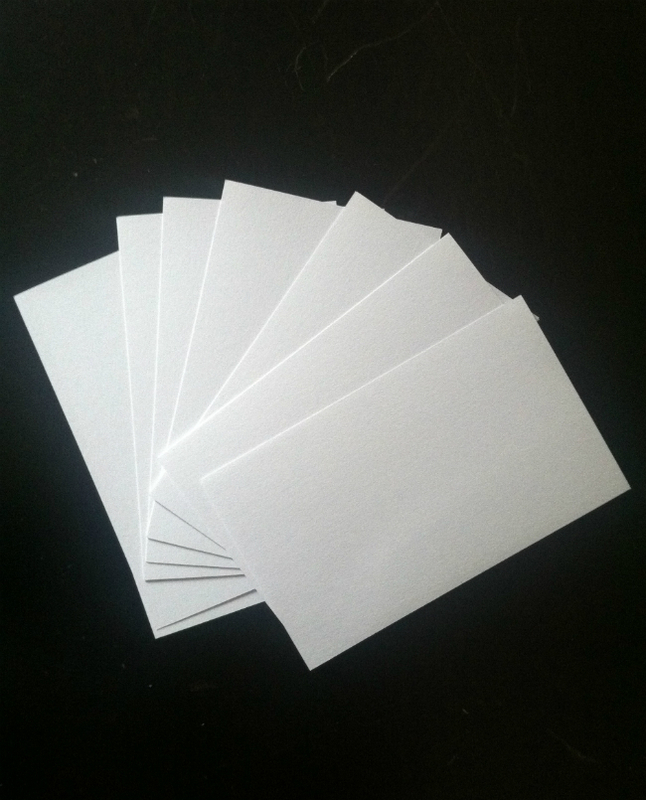 using the index card is time saver because the dimensions are already in place for you all you have to do is cut in the same of the card. 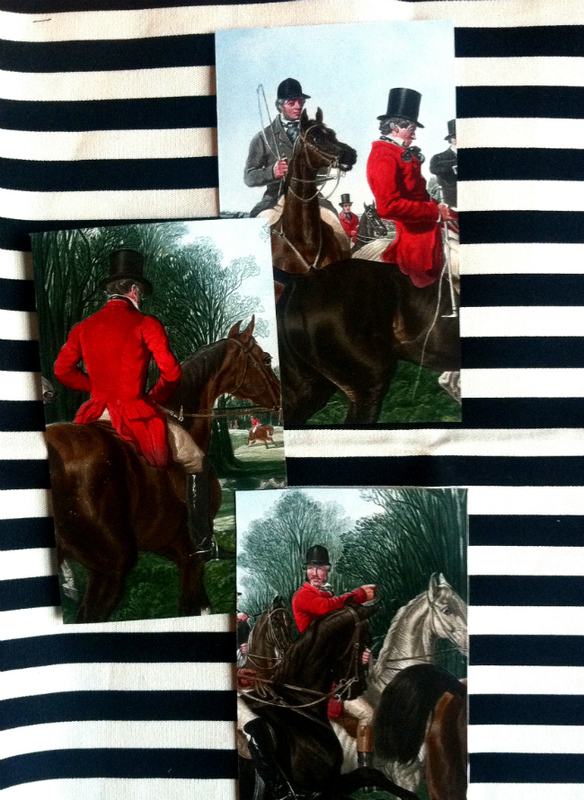 carefully, selecting a scene from the sample page i was able to make a very very inexpensive vintage note card. trust me these note cards are waaaaaaaaaaaaaaay less than you can buy in the stores. i really like how simple and effective these cards are. each one is different yet amazing all on their own. how's that for stretching the use of an old wallpaper book!